Will A Drug-Free Workplace Lower Your Workers Comp Premium? Many businesses can save money on workers compensation premiums by maintaining a drug-free workplace. Some employers may be eligible for a premium reduction through a state program. Others can save money by preventing accidents caused by impaired workers. Substance abuse in the workplace is a significant problem for employers. It can harm employee morale, increase absenteeism, and hinder productivity. It can also contribute to workplace accidents. Workers who abuse drugs or other substances may injure themselves, their fellow employees, or members of the public. Quest Diagnostics provides drug-testing services to U.S. employers. 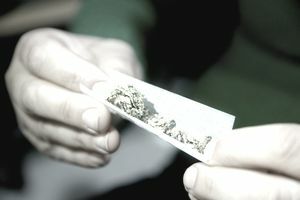 The company collects and analyzes data on the results of drug tests, and then issues reports on workplace drug use in the U.S. A report Quest published in May of 2018 shows that drug abuse varies widely from one state to another. States differ both in the types of drugs used and the number of workers abusing them. For instance, marijuana use has risen in some states while amphetamine and cocaine use has increased in others. Quest provides state-specific statistics via an interactive map. Quest's 2018 report showed that the positivity rate for the country as a whole was 4.2% in 2017, the same rate as in 2016. The company notes that this rate is considerably higher than the 2012 rate, which was 3.5%. Nevertheless, the positivity rate has dropped dramatically since 1988, when it was 13.6%. Between 2013 and 2017, methamphetamine positivity rates increased by 140% or more in parts of the South and Midwest. The good news is that prescription opiate use has begun to decline. Between 2016 and 2017, the positivity rate for opiates across the U.S. workforce dropped by 17 percent. With the exception of codeine, opiates were at their lowest positivity rate in over a decade. The Drug-Free Workplace Act of 1988 requires all recipients of federal grants to maintain a drug-free workplace. The law also applies to some federal contractors. Information about the Act is available from the Substance Abuse and Mental Health Services Administration (SAMHSA). Some states and municipalities have passed laws similar to the federal Drug-free Workplace Act. These laws apply to employers that have been awarded grants or contracts from the state or city. If an employer fails to maintain a drug-free workplace as required by federal, state or municipal law, the employer's contract or grant may be terminated. As of October 2018, 13 states had laws that provide a discount on workers compensation insurance to employers that implement a drug-free workplace. Alabama. Alabama codes §25-5-330 through §25-5-340 (1995) provide a five percent discount to employers that establish a drug-free workplace in compliance with the act. Arkansas. According to code §11-14-101-112 (1999), employers with drug-free workplace programs may qualify for a five percent discount on workers' compensation premiums. Florida. State code §440.102 (1990) provides a five percent reduction in premiums to employers that implement and maintain an insurer-certified drug-free workplace program in accordance with the standards set forth in the Act. Georgia. §33-9-40.2 & §34-9-412 provides a 7.5 percent discount on workers compensation premiums to employers that have implemented a drug-free workplace program that is certified by the state Board of Workers' Compensation. Employers must submit their certificate to their insurer annually. Idaho. Sections 72-1701 through 72-1716 of the Idaho code provide that public employers who conduct drug and alcohol testing of all current and prospective employees shall qualify for and may be granted an employer Workers' Compensation premium reduction. Kentucky. State regulations 803 KAR 25.280 (2008) allow employers that implement a drug-free workplace program a 5% reduction of their insurance premium. Mississippi. Under Mississippi Code, Sections 71-3-201 through 71-3-225, employers that establish a drug-free workplace program may submit an application to their insurer for a 5 percent reduction in their workers' compensation premium. Ohio. Program established via O.A.C. 4123-17-58. Employers may enroll in the Drug-Free Safety Program offered by the Ohio Bureau of Workers' Compensation. Employers that fulfill the requirements may receive a discount of four to seven percent on their workers compensation premium. New York. Part 60 of Sect. 134 of WC (2007) created the Workplace Safety and Loss Prevention Incentive Program. Employers with an experience modifier of less than 1.30 and an annual WC premium of at least $5,000 are eligible for a voluntary program. They may receive a separate credit (typically 2%) for each of the following: safety, return-to-work, and drug and alcohol prevention. South Carolina. §38-73-500 (1997) provides 5 percent discount on workers compensation premiums to employers that voluntarily establish a drug-free workplace program. Tennessee. State codes §50-9-101 to §50-9-114 (1997) provide a 5 percent discount on premiums if employers establish a drug-free workplace program as outlined in the law. Virginia. §65.2-813.2 (1997) provides a 5 percent premium discount for employers who institute a drug-free workplace program. The program must satisfy requirements established by the insurer. Wyoming. Under §27-14-201, employers that implement a drug-testing program may qualify for a base rate discount up to 10%. This program is offered by the Wyoming Department of Workforce Services. If an employee is injured on the job while intoxicated by drugs or alcohol can he or she collect workers compensation benefits? The answer depends on the state. Some states bar workers from collecting workers compensation benefits for injuries sustained while intoxicated. Other states provide a reduced amount of benefits. Note that benefits restrictions have no effect on your vicarious liability to third parties injured by your intoxicated workers. Lawsuits against your firm that arise out of such injuries may be covered by your general liability insurance. Employers who wish to create a drug-free workplace policy have several sources of information. These include SAMSHA and their state workers compensation authority. Employers can also seek assistance from their workers' compensation insurer. Many insurers offer risk control services that include drugs and alcohol management.